So many to choose from and every piece is beautiful and looks elegant, and she wish she could have them all :p beside white color, there are many other choice of colors. When I saw what the online website has to offer, my heart goes pumping faster than you can imagine coz every piece just wow me over. My piggy goes " should I take this or should I that piece " and she ended up picking two, one white and one black. Haha, the opposite colors. Oh , well, this is again individual taste. But I know we both mother and daughter will be partners in crime in future purchase of fashionable dresses. I know I will be her confidente and partner- in- crime as long as I live. We both share the same craziness when it comes to shopping for clothes. I guess she takes after me ! She chose this beautiful white piece for her graduation and I am sure this simple cut will have many heads turned on that day :p Many of her friends are looking for new dresses for their graduation convo to be held in the city hotel and she too recommends to them this website where they can shop in comfort. The drive from the campus to the mall boutique will be a hassle as traffic jam in city can be terrible and with the crime rate of late, it is wiser to shop online for dresses. This online store will have your dresses delivered straight to your home with just a click . Introducing my 'grandgirl' ...Miss Chief. 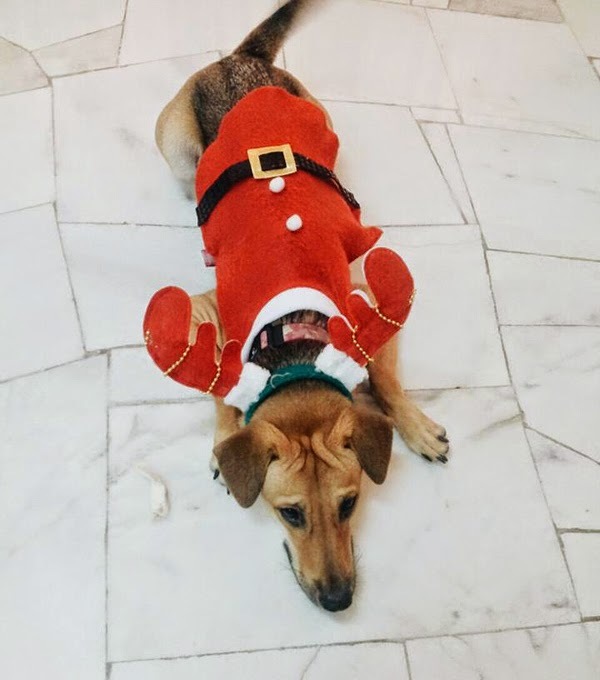 She is very aptly named, for she is really the boss in the house now :) The 'boss' of the house was forced to put on the Santa garment just for Christmas Day LOL! 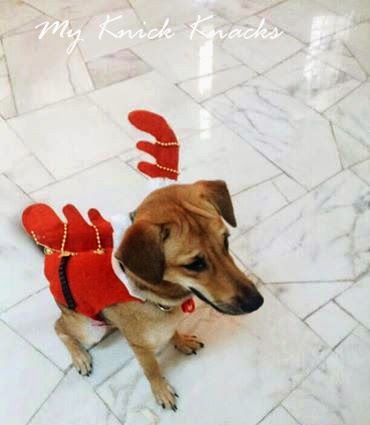 And she became the Black Nose Reindeer Santarina ! Super cute lil darling ! Finally, my kacang panjang renek successfully bear fruit. 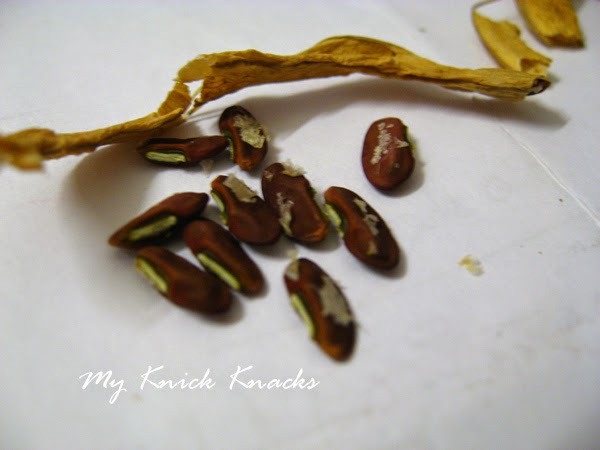 I managed to salvage one kacang panjang . Since I can't cook any dish with it, I decided to dry it for the seeds so that I can get more plants . 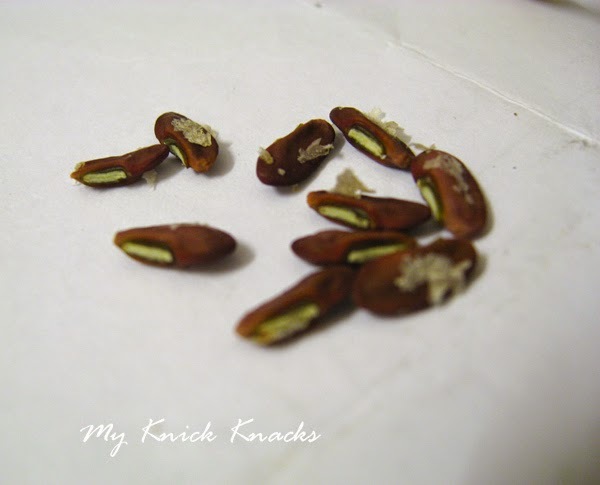 After three weeks, the kacang panjang has turned brown and brittle. Time to harvest the seeds. 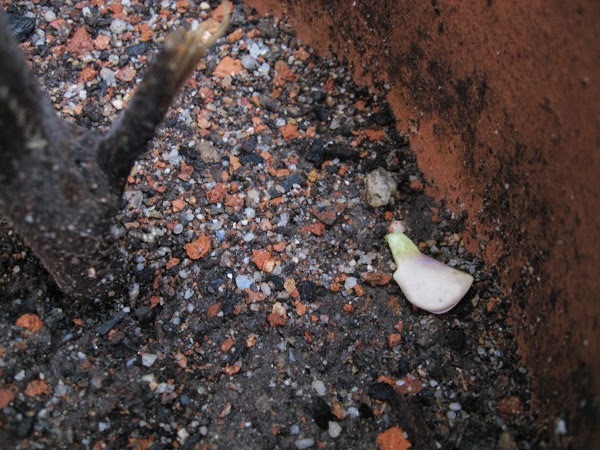 Tada, there are 10 seeds. Good number ! LOL! 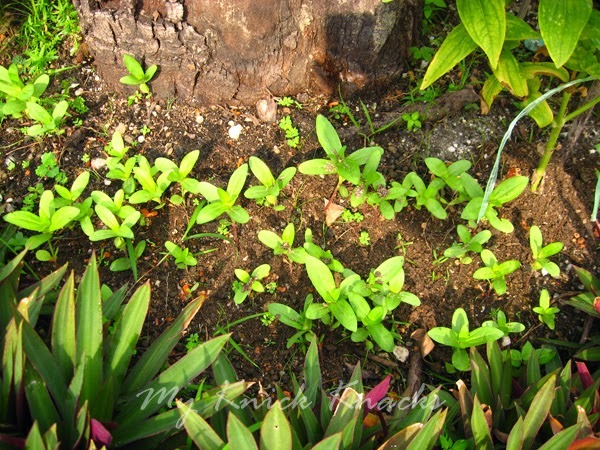 So , I can have 10 kacang panjang plants :) so super happy ! 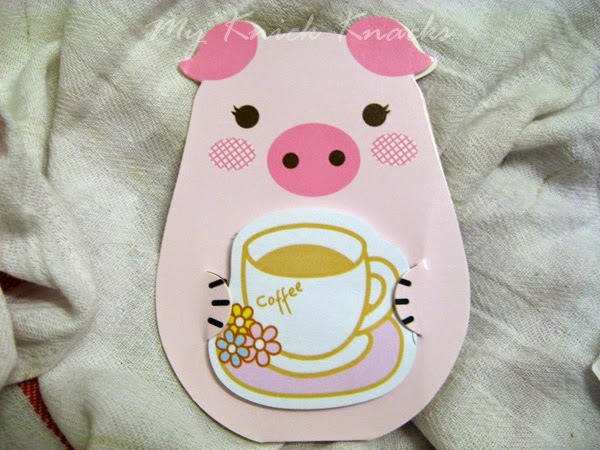 Now my Piggy Jo is 26 years of age , whereby she is an adult and have her fashion sense. The dad's opinion and superstitions no longer have a hold on her. Recently, she was looking for a nice white dress for her graduation and ended up purchasing two dresses, one white and one black. Thanks to the online fashion store, she was able to get her dress problem solved. I prefer to shop online for clothing. It is convenient and with just a click, the clothes will be delivered to us! Cashless and no hassle. One can slowly view all the designs on the website and each pattern will be shown clearly on the website, back image and front image and the sizes are all shown clearly on the webpage. Safe shopping, as you shop online from your home ! Besides the white elegant one, she picked this beautiful black piece too - Chiffon Satin Sweetheart A-Line Asymmetrical Ruched Prom Dress! I can imagine her in this well cut dress. she will definitely look gorgeous and who say online shopping is not fun or you wont be able to get a good piece. No, I differ in opinion after looking through the website. They have a wide range of beautiful black prom dresses and Piggy Jo just picked one to her taste. I would say she really has super taste. It is indeed a beautiful piece and online shopping is definitely great for her! So start shopping for your blue prom dresses if you are looking for a blue one ! What Is A Prom Night? What is prom night? For most parents, prom night usually included a dinner followed by a dance at school. And the entire event lasted no longer than a night. What is prom night today? Prom night is the most important dance of high school senior year. And like always, the night still goes around having a date. Most teens would rather avoid the prom altogether than arrive without a date. Guys agonize over whether the girl's answer will be a “yes” or a “no” when they ask a girl to the prom night. Girls usually devote months toward relationships to be asked by the right person. On prom night, the girls will spend hours getting dressed in their prom dresses. Formal dress is still in, with the girls wearing gowns and the boys wearing tuxedos. Now with so many online store selling a wide range of prom dresses, there will be no dress issues for girls attending prom night. Prom Dresses 2015 offers the most beautiful and stylish dresses any girls would dream of. They have many style to suits today teens girls from short prom dresses to long prom dresses and they even have this Mermaid Sweep Train Tiered Prom Dress that will have their date wowed . All heads will turn when the girl walks in with her date dressed like a mermaid :) And the girl will have other guys wanting to dance with her all night long :) Well, I wish during my time , they have such beautiful designs. I would have guys swoon over me. Girls are lucky as todays designers are more talented and creative. Girls can choose and pick one that will be make them stand out like a shining star in a prom night. 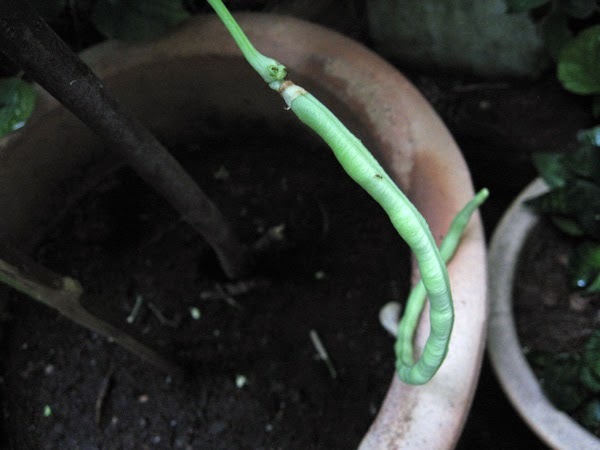 After all the labor pain I went through birthing my first long bean, I am super happy that I got my babies strong and healthy :) Hahaha it sounds funny though but I laboured just to have this long beans. Perseverance paid off and now I am waiting to devour my babies...sounds cruel LOL! 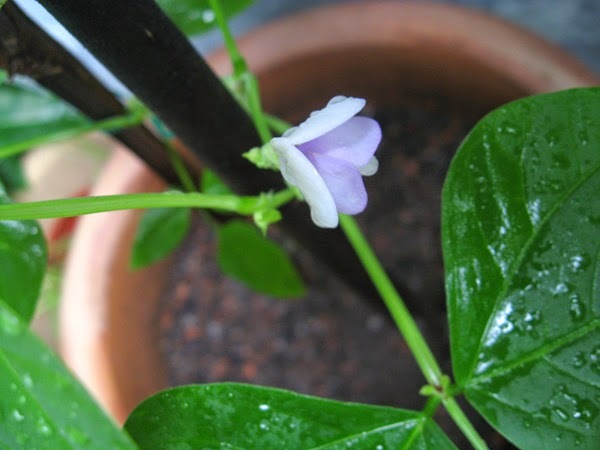 Before that, the flowers keep dropping and I was saddened by their continuing abortions :p and finally, a friend recommended that I use the organic fish fertiliser " Alaska Brand " and gosh , it makes my kacang panjang renek plant strong and the flowers were able to hold till it birthed into long beans. 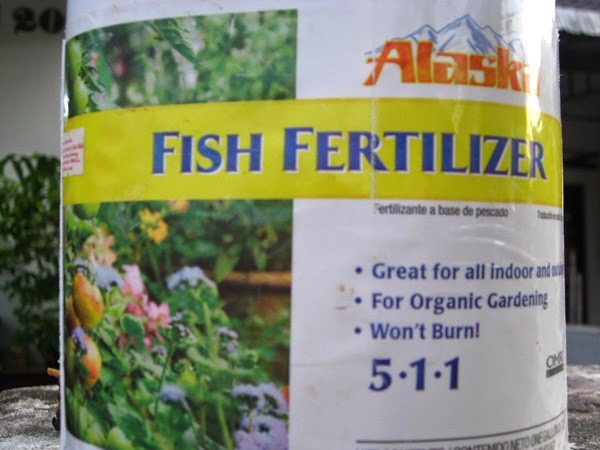 I am super happy and would like to recommend the use of this brand of organic fish emulsion. 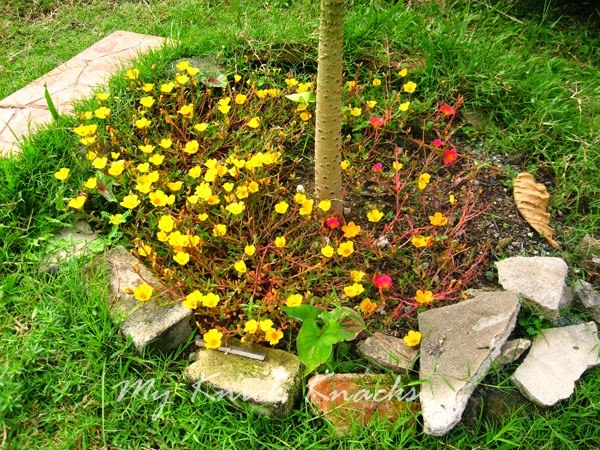 It is good for edible plants and flower plants too. Sharing my joy with my readers and it is thanksgiving every seconds for me ! Whenever it is Christmas, I will always think of my friend in US having a white christmas ! :) For me it is just a dream. Over here we dont get to have a white Christmas :p but exchanging gifts is still practiced here. My cell group member is a bass guitarist for the church worship team. His wife wants to give him a new guitar and doesn't know what bass to buy as a gift for him. So we suggested that she check it out from the online store. They may display a wide range of bass guitars and she can read on each type . They might have Christmas sale too and it would be much cheaper than going to the shop to get it. And wouldn't it be a surprise for the husband when he receive his guitar from the courier service ? I did not go by boat or plane, I traveled on my knees. But God told me that I should go - there was oil to pour from Him. I replied, " Lord, I cannot go and work with such as these, "
He answered quickly, "Yes you can, by traveling on your knees,"
Be concerned abut the fate of those both far and near, "
I felt the Lord right by my side while traveling on my knees. I saw God's workers' strength renewed while laboring on the field. 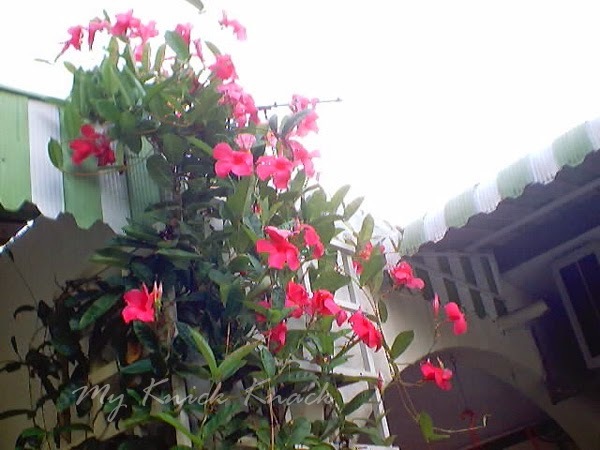 I can go and heed Thy call by traveling on my knees,"
This is the 2nd part now the progress of my kacang panjang renek...the flowers had turned a nice purplish color. It has been raining and pouring like nobody business the past few days esp night time. 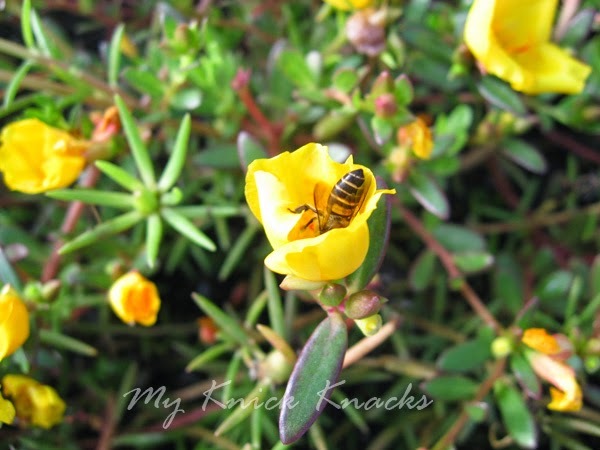 I was so delighted and enthralled with the color of the flowers. After the rain, I took out the camera and start taking pictures of the flower. 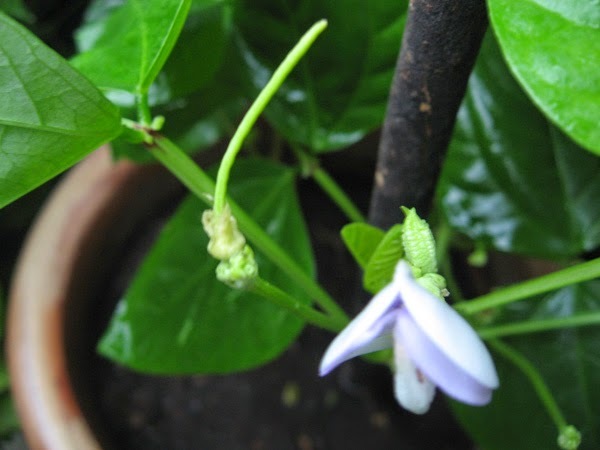 And guess what the next morning, the flower disappeared and I found it inside the pot at the far end..My heart just went dropping and I said " there goes my kacang panjang renek !!!! " 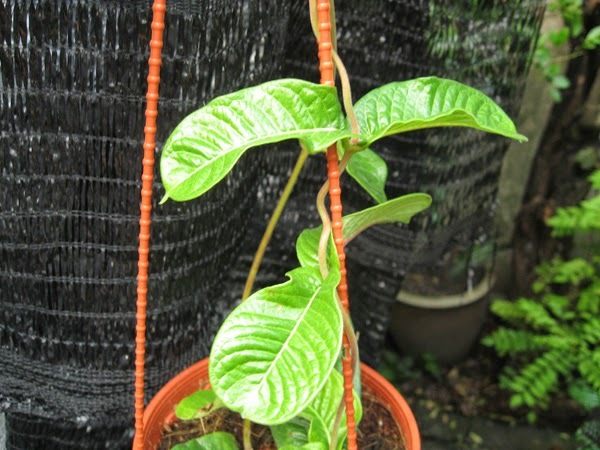 before I could even see it flourish into a longbean. I posted on facebook telling my friend that I was sad that the flower dropped. 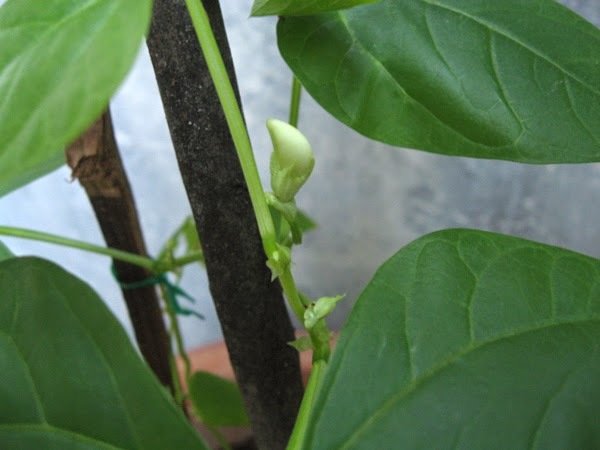 Then another friend told me that " keep your fingers crossed, who knows a longbean may sprout out " and another friend told me that the flower will drop when the bean is coming out " I hang on and keeping my fingers crossed that a long bean will sprout out in the next few days. 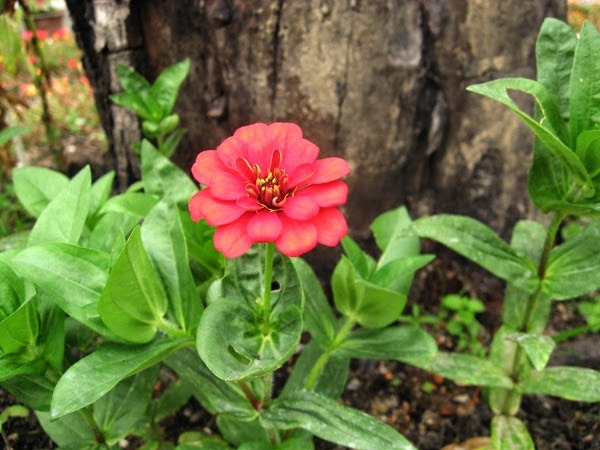 :) Here are some photos to show you how great God is....amazing to see the tiny thin stem holding the heavy flower until it drops by nature. 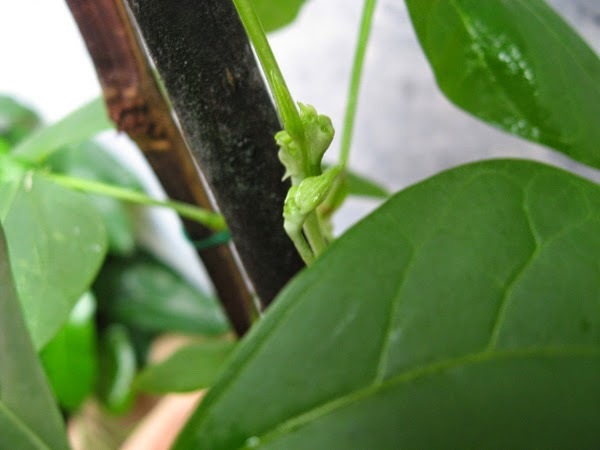 I am like a mom in labor pain..waiting for the birth of my first longbean LOL! 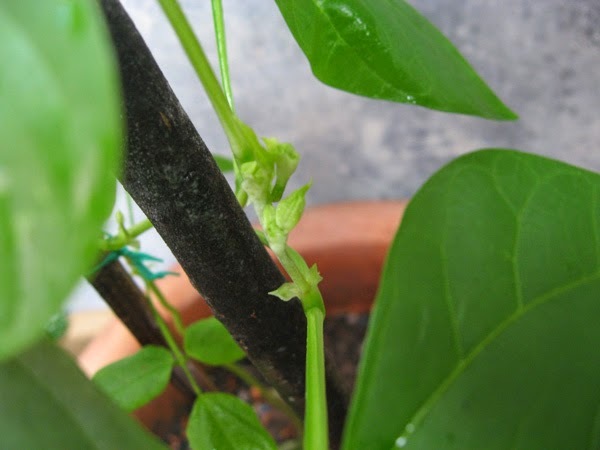 Today I am super happy that my kacang panjang renek ( short shrub longbean ) is starting to bear fruits. It is just a foot tall now. 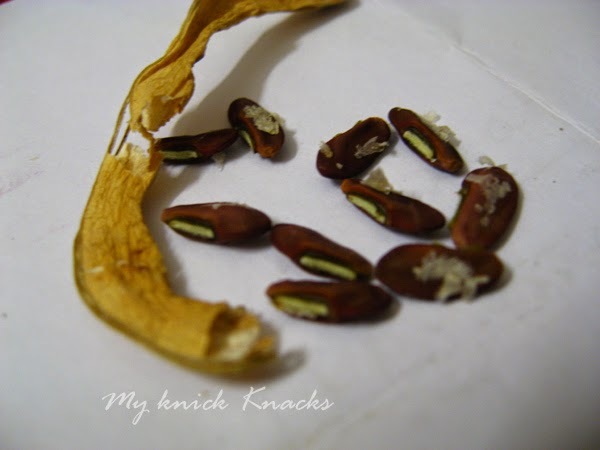 A new friend gave me the seeds and I planted it 2 months ago and now it is starting to bear fruits :) I did a bit of research on this kacang panjang renek and have it translated here. 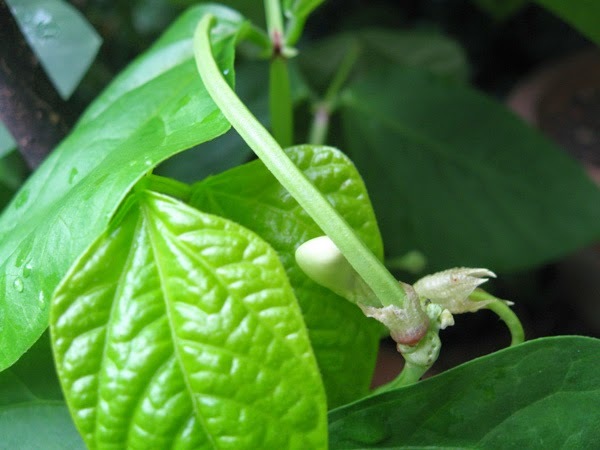 It is a cross between the creeping longbeans and cowpea. 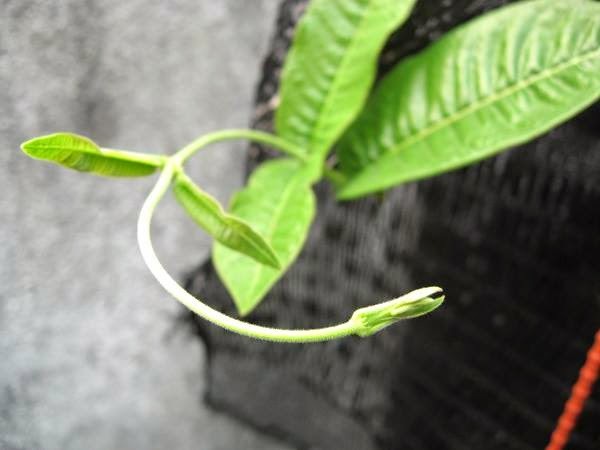 It will starts to flower at 5-6 weeks after germination. 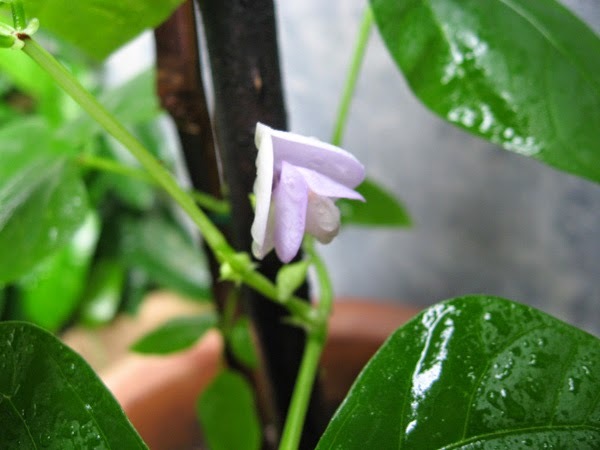 Length of bean is 25-45 cm long with a diameter of 0.6 -0.8cm. 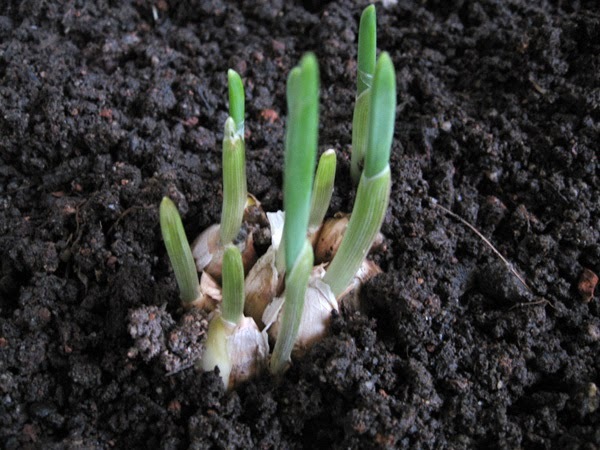 Can be harvested 8-10 weeks from the date of germination depending on how healthy the plant is. 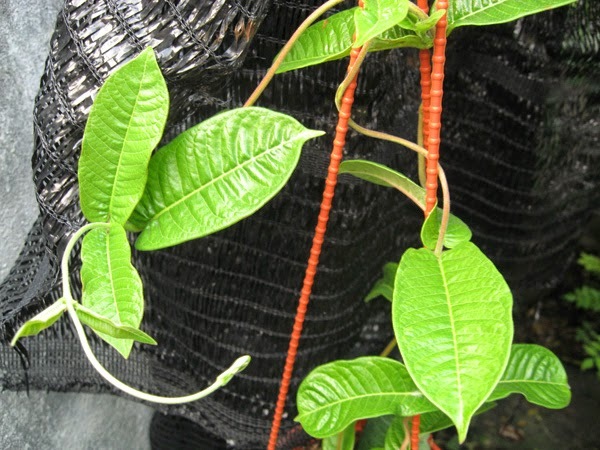 Height of plant is around 45 cm to 60 cm. 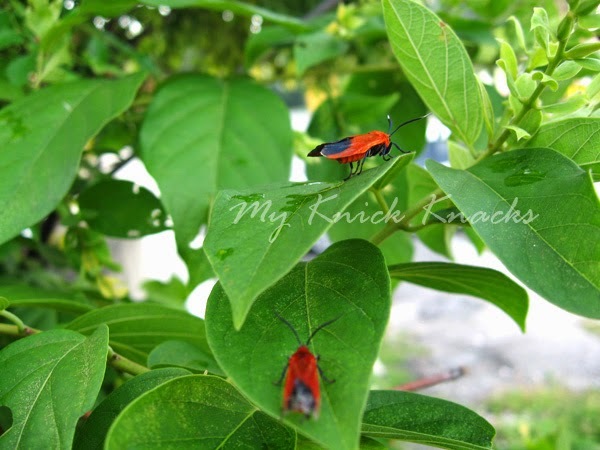 Believed to be originated from the Philippines and brought in to Southern Thailand. 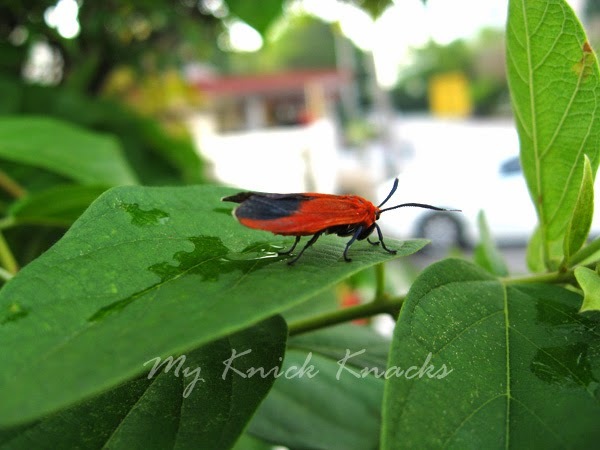 And was brought into Kedah State from there. 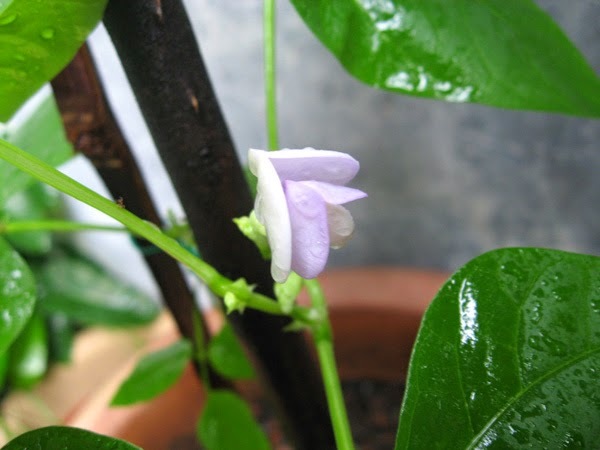 Interesting read up from the internet on this ' short shrub longbean ' literally translated from the malay name Kacang Panjang Renek. I am in love with this plant ! Will keep you updated on this longbean plant. 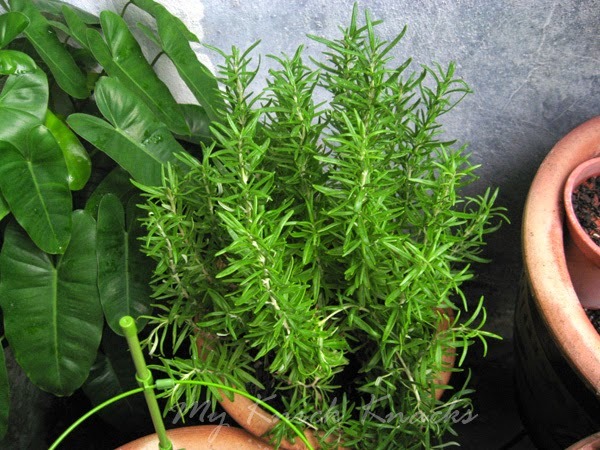 I have tried so many times to grow my own Rosemary herb but upteenth times I failed. 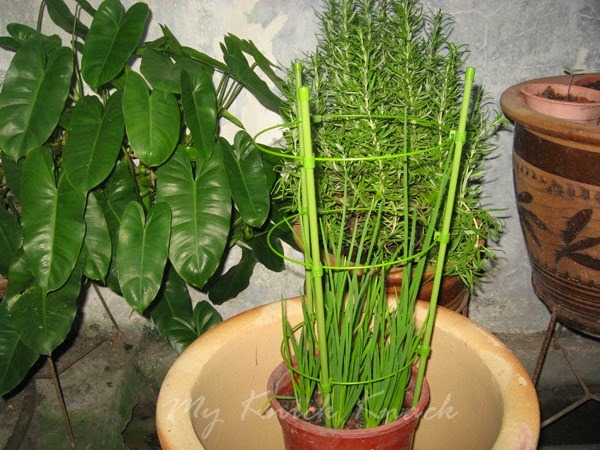 Recently after joining the fb Malaysia Gardeners, I gathered enough information from the sifus there and bravely I combat all the odds and finally my lastest Rosemary seems to be thriving well . I placed in the right spot....under the edge of my awning...she gets enough sunlight and protected from heavy downpours. 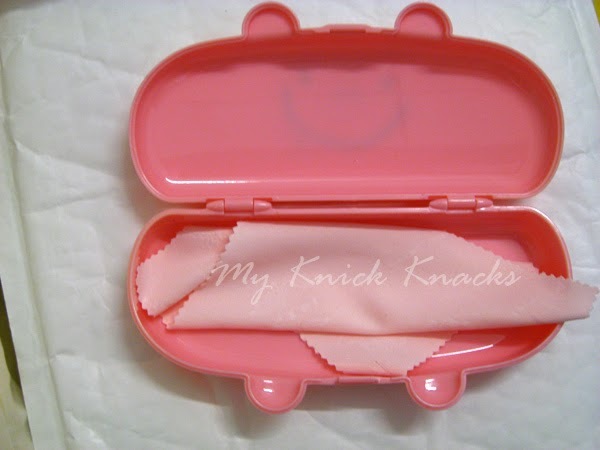 I waters them on alternate days only. And I learned from the group to plant spring onions near Rosemary to ward off her unwanted suitors ( pests ) Thus now my spring onions has become Rosemary angel guard for the time being until I decide to cook them for my dishes LOL! Church Music Ministry is an important ministry. It is not to be overlooked and WB who helps in ordering and updating musical insturments for the ministry. He needs to surf for the best and at affordable prices can be tedious at times. Though it is quite challenging at times, it brings joy to him. He truly enjoy working in this ministry. He loves kids and he loves music. He normally checks Guitar Center's DBX product page when he needs to order guitar related stuff. He put his total trust on this product page..the information given is good and he relys at lot from this webpage. It helps to make his work easier :) He is looking forward to placing an order for the youth music ministry for year 2015. He knows the youths will love the guitars he will be ordering in early 2015 :) Seeing the kids happy is his joy ! 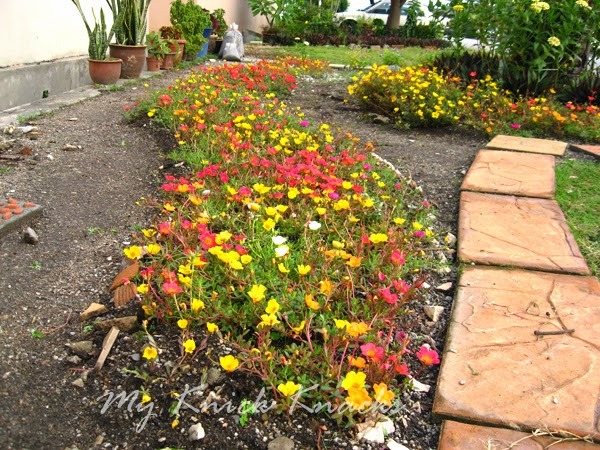 After hours of weeding out weeds and unwanted grass, we can sit back and drown ourselves with the beauty before us. 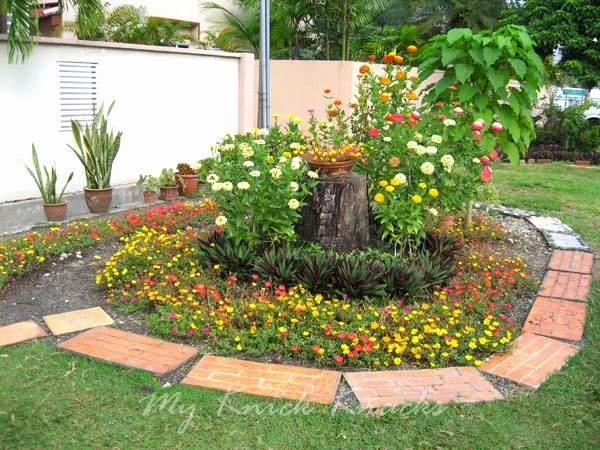 A beautiful community garden whereby each of us has put in some efforts somehow :) We are planning another bbq party here LOL! Teamwork is important if we want to live in harmony. I love my neighbors...seriously....it takes very little to love one another. Flowers are beautiful to look at but I believe behind all this the most important is our friendship and love for one another. A beautiful sight to behold ! A toast to all my neighbor friends who have helped to make this awesome garden! 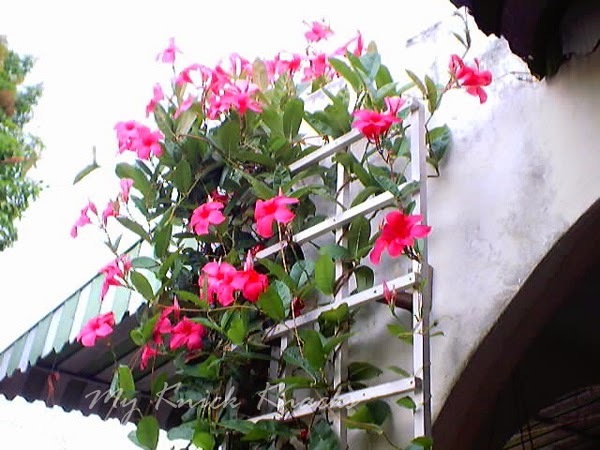 I had this in the year 2003 ...I can't remember what I did to the plant until I saw some old photos and bing, I fell in love with the plant again and I was frantically searching all the nurseries in Ipoh for it . 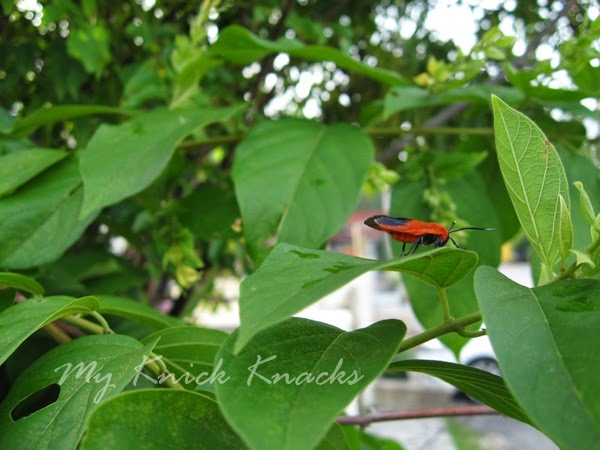 Found out the name of the plant from fb Malaysia Gardeners Group . 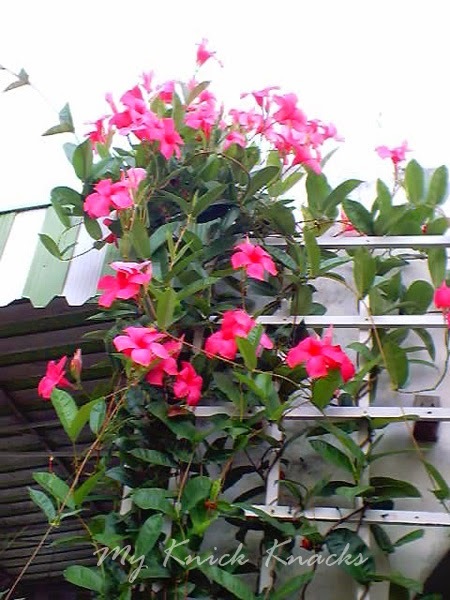 The name of this beautiful plant is Mandevilla. 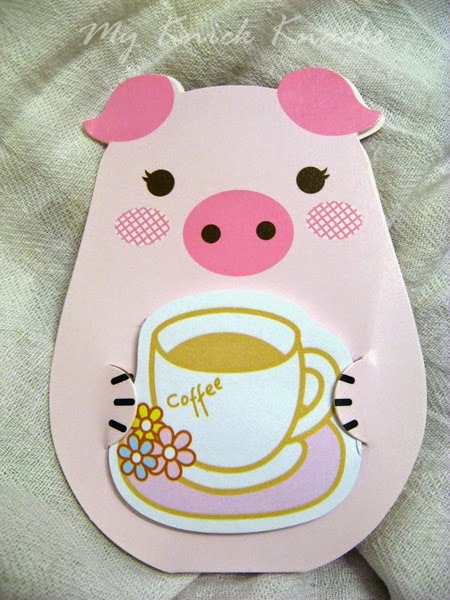 I placed an order for it and last Sunday, I received a call from one of the nurseries that I placed an order for it. 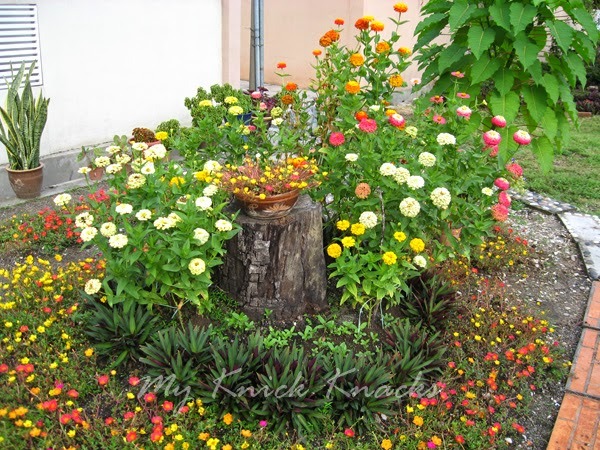 Thus my dream of recreating this can be make true in a few months time :) Pray God will endowed me with green fingers and that I can make my dream come true ! 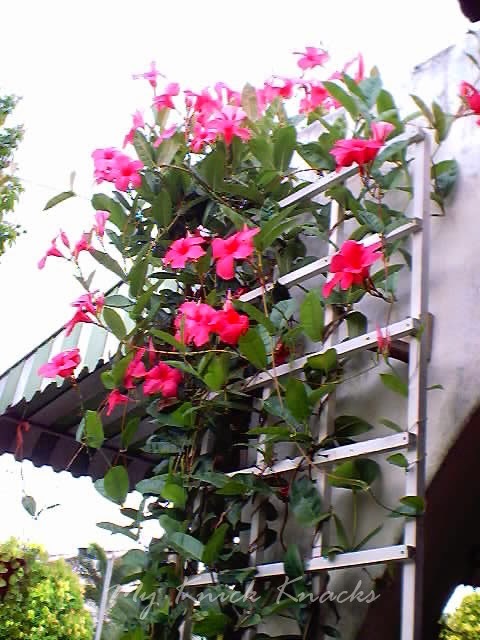 The pictures below is my new Mandevilla plant. Not flowering yet but hopefully it is the same color as the one I had in 2003 . The lady at the nursery told me that her supplier said it is the color I wanted ( Dark Pink ) okay, I trusted her and paid for it without having proof that it is the color I wanted :p Paid RM15 for it :) So super happy that I managed to get it ! I love Sundays...a day that I can spend more time in my little space and do some photography stuff...heehee not that I am good with a camera. 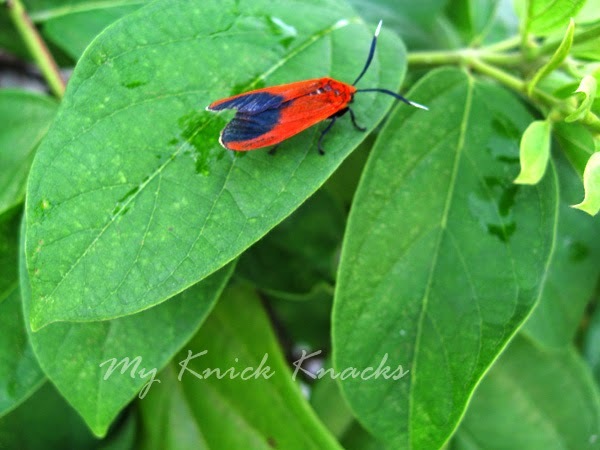 Saw these beautiful creatures...not sure what they are ,but it is beautiful...love the orangey red and the black spot wings...AWESOME ! 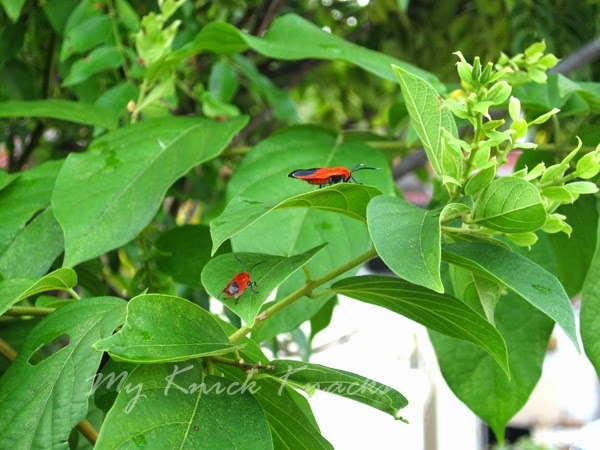 Sorry, I sounded excited because I lived in the city and seldom see such beautiful and colorful insects....normally boring insects or bug with boring black or brown will come visiting my little space but last Sunday these colorful insects were feasting on my Rangoon Creeper or they were actually courting :) I allowed them to have fun in my little space :) They are also God's creations , so I closed my eyes and pretend they were not there :p Managed to get a close up of them ....they look beautiful and I just love their colors ! 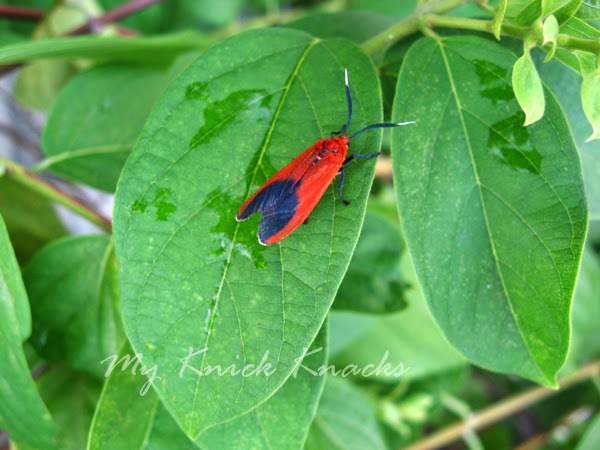 Will have to find out these insects or bugs are from my Malaysia Gardener Group on facebook...hang on while I do some research. 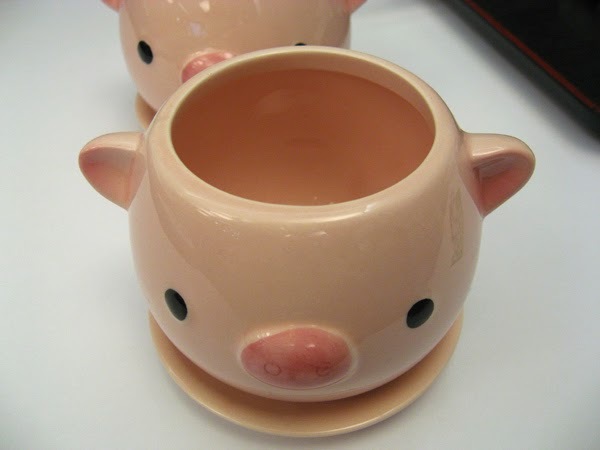 This is so cute .....look how the Piggy stick out his tongue...LOL! 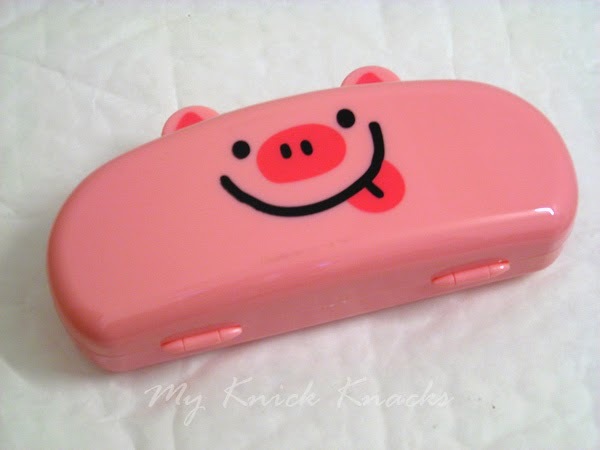 It is a spectacles case. 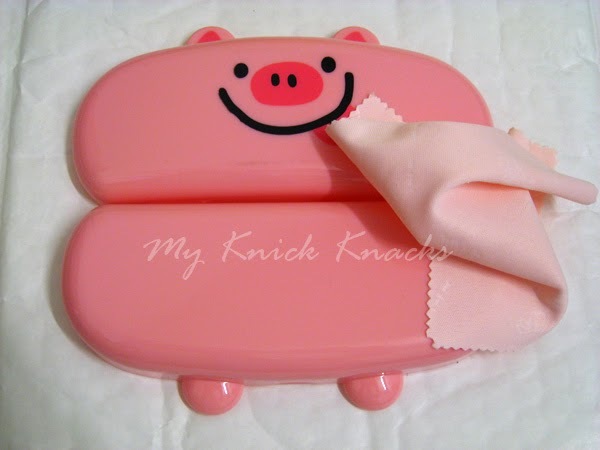 I can keep my spare specs in this cutie case. 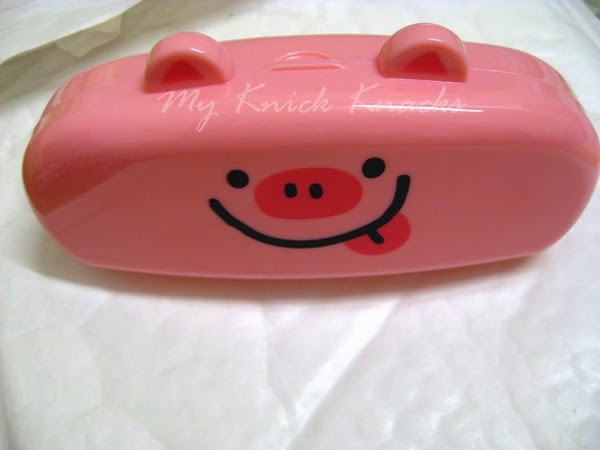 Each time you open the case to take out your specs, you see this cutie fella sticking his tongue out like it is teasing you :) Sweetie pie I named it. 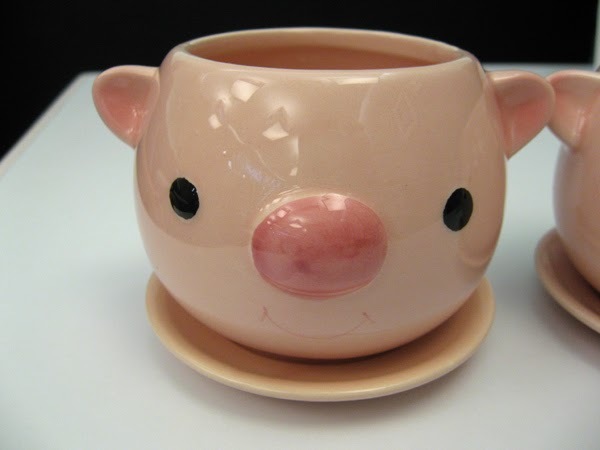 Thank you Cuz Piggy for getting this fella for me. 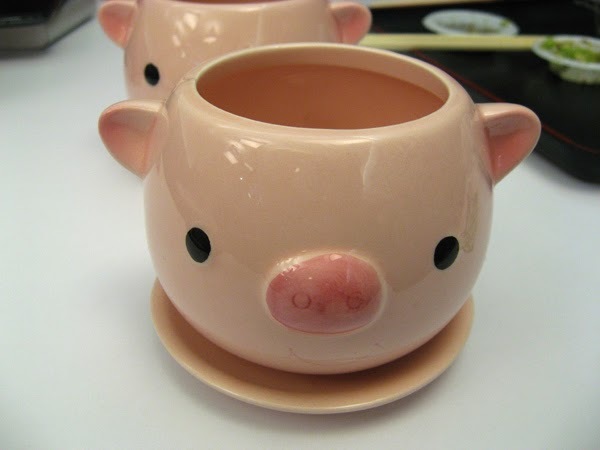 I value it much :) Another Piggy collectibles added to my collection ! Travel more ya and get them all back for me LOL!